Rolf Claessen studied chemistry at the universities of Tuebingen and Wuerzburg and received his doctoral degree from the College of Nanoscience and Engineering of the State University of New York in 2002. His main focus during his dissertation work was in the field of organic and organometallic synthesis, development of copper CVD processes and building suitable reactors, as well as characterization of the resulting copper films using surface analysis techniques such as SEM, XPS, AES and RBS. After university, Rolf Claessen headed the business unit for glass coatings of a nanotechnology company as product manager. He received his training to become a patent attorney in Cologne, Duesseldorf and Munich and after becoming a patent attorney in 2007 started in a local patent law firm as a partner in early 2008. 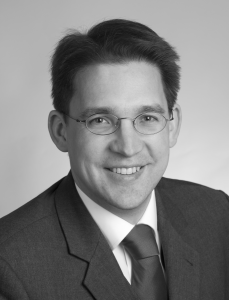 In 2010 Rolf Claessen joined the IP law firm Freischem. Rolf Claessen handles all aspects of intellectual property law. He represents German and international clients in patent and trademark matters as well as in utility model and design patent matters. Furthermore, he gives legal advice in matters concerning the Employee-Invention Act (Arbeitnehmererfindergesetz), and maps out strategies and contracts for joint developments and licenses. His main focus lies in the prosecution and litigation of trademarks as well as patents in the fields of chemistry, pharmacy, cosmetics, materials science, nanotechnology, semiconductor manufacturing and software. Rolf Claessen volunteers his time in various projects for the local chapter of the Junior Chamber International in Cologne and also created the quite popular website IP Newsflash (http://www.ipnewsflash.com, over 1M visitors with over 8M page views annually). Rolf Claessen is a prolific writer of articles in scientific, business and law journals and magazines. Memberships: INTA, German Patent Bar, EPI, GRUR and FICPI. How can I subscribe on the iPhone, iPad, Android, my Computer - so that I can listen to the podcast while commuting, during my workout, on the bike, train or in the car? Tweets about "#ipfridays OR @ipfridays OR "IP Fridays" OR ipfridays"